Who Will Lead the NBA in Blocks in 2017-18? In 2015-16, Hassan Whiteside came out of nowhere to put up an insane 3.68 blocks per game in a breakout season. Heading into last year, he was a whopping -185 preseason favorite to do so again, but swatted away a relatively disappointing 2.1 shots per game—good for fourth in the league. 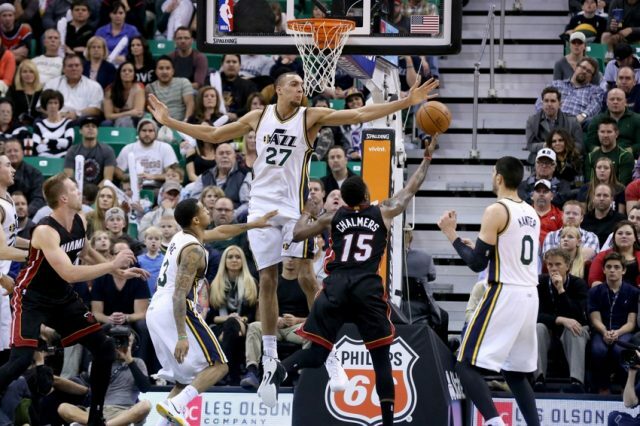 Instead, it was the “Stifle Tower” Rudy Gobert who led the league with 2.64 blocks per game. He was +600 before last season and is the clear +150 favorite heading into this year. Did the oddsmakers overvalue last year’s leader again? I believe so. Blocks are a relatively fickle statistic and as we saw with Whiteside, a player’s numbers can fluctuate quite a bit. Even the great Dikembe Mutombo’s averages would bounce around by a half a block or more back in his day. At +150, there is no value on Gobert. I honestly feel like taking Whiteside at +400 isn’t a bad bet. We know he has the ability to put up more than three blocks per game, which is something that most of the listed options aren’t capable of doing. Also at +400 is Anthony Davis. He led the league a couple of times and put up consecutive seasons of close to three blocks per game. However, he’s been banged up the past couple of years and those numbers have been right above two blocks per game in each of the past two seasons. His great shot-blocking days may be a thing of the past. Is this prop bet worth betting on or nah? If so, who will you be taking? Let us know @SportsInsights and follow us for more basketball news as we approach the season.